From the letters, it appears the money may not have arrived until December of the following year, 1854! In later letters (1855, 1863) it seems Thad was doing better, though in 1863 Wilhelm gives him his share of an inheritance, amount unspecified but large enough that brother Franz Xavier and sister Nany wanted their shares. 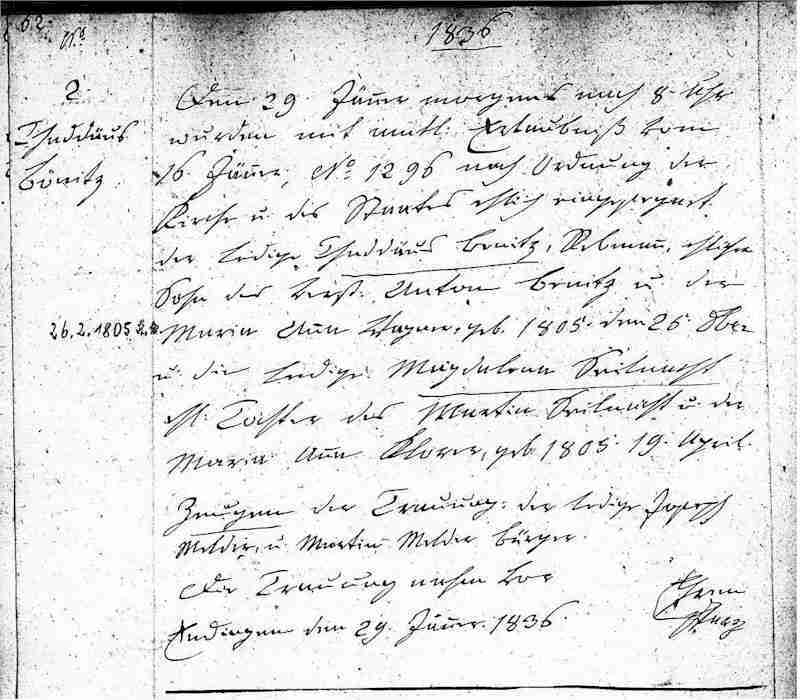 Thad married Magdalena Seilnacht (on 29 Jan. 1836); they had 6 children, all christened at the Catholic church in Endingen (Sankt Petri-sankt Martin-katholisch, Endingen); 3 died as infants.